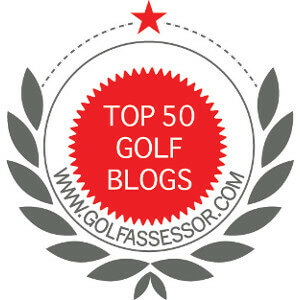 Many golfing blogs I follow presented their top 5 or 10 posts of 2015. I have enjoyed everyone of them! They were interesting, funny, informative, and helped motivate me to be a better golfer! I am grateful for their efforts and appreciate the amount of time they spend spreading the golfing word! The Best Golf Swing Ever! There is no real pattern or trend to the types of articles; nor do the timelines match up; I guess on any given day, we never know what is going to interest the readers! Thanks for all the support last year, I hope to continue to entertain, share, and kibitz with you about golf even more in 2016! ← Want Low Scores in Golf? Keep the great posts coming! You bring a great perspective to the game. To be honest I have never sorted out my top posts, but like you Jim I am always grateful to receive comments from readers. WordPress makes sorting the images very easy. I like to look and recap, it helps me stay focused on what is important to readers. Like you, I am also grateful for positive comments. I always enjoy reading your posts, Jim. I’m glad you shared links as I don’t recall having read the Mental Challenges of “Can’t”. I’ll go back and read that in more detail. You’re right, one never knows what will be popular but one thing with you is a certainty, it will be well written and a pleasure to read. Here’s to a great 2016! You are too kind. Thank you. Have an awesome weekend!